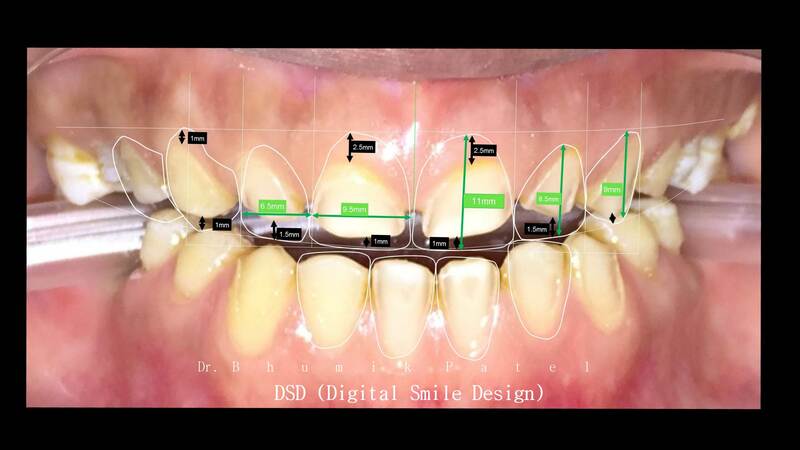 Home > Updates > Digital smile design is a procedure in which we show treatment plan on patient's own teeth pictures. we take some photo of patient's teeth and plan our treatment on pics which is going to be done on patient. by doing this patient gets a test drive of how he will look after treatment or smile designing. patient can actually see how he will look after smile designing treatment in advance .FAQ:1. Do you grind tooth for trial smile ?A: No. Temporary material is directly applied to your tooth without grinding.which can easily be removed after trial is done.2. Any correction possible at trial smile ?A: Yes. we can do all correction according to patient's need. Size , shape , thickness and form of teeth can be modified.3. Can it be done for just one broken tooth.A: Yes digital smile designing can be done for one tooth. smiledesigning. digitalsmiledesigning. smiledesignclinic. smiledesigndoctor. beautifulsmile.whitesmile. Digital smile design is a procedure in which we show treatment plan on patient's own teeth pictures. we take some photo of patient's teeth and plan our treatment on pics which is going to be done on patient. by doing this patient gets a test drive of how he will look after treatment or smile designing. patient can actually see how he will look after smile designing treatment in advance . FAQ: 1. Do you grind tooth for trial smile ? A: No. Temporary material is directly applied to your tooth without grinding.which can easily be removed after trial is done. 2. Any correction possible at trial smile ? A: Yes. we can do all correction according to patient's need. Size , shape , thickness and form of teeth can be modified. 3. Can it be done for just one broken tooth. A: Yes digital smile designing can be done for one tooth. smiledesigning. digitalsmiledesigning. smiledesignclinic. smiledesigndoctor. beautifulsmile.whitesmile.